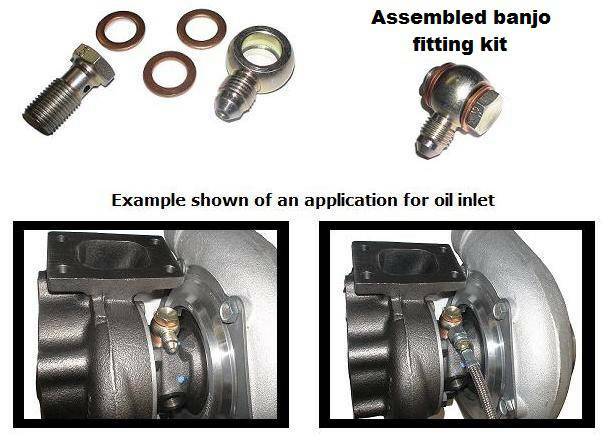 UNRESTRICTED Low profile oil feed Banjo Fitting Kit for Garrett GT25R to GT35R; and GTX28 to GTX35 series turbochargers. Includes one banjo fitting, one banjo bolt; and two crush washers for Garrett GT/GTX turbochargers. OPTIONAL: Alternate banjo bolt oil restrictor (0.035"); additional $5.00.